For the last three years our Society has been very active on environmental and sustainability issues by undertaking projects, organising and participating in a number of conferences, presentations and lectures. 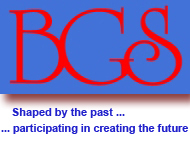 All this has been achieved with the voluntary work and dedication of many BGS members and has resulted in a tremendous amount of publicity both for our members and the Society. Our extensive study and proposals for the Kifissos River have received an overwhelming response from the general public as well as from many professionals in the fields of urban and river regeneration, from Greece as well as from various parts of the world…and of course we will continue with this project. During the last few months many BGS members have asked for more action and activities on environmental and sustainability issues and we are now setting up this special group. This group comprises professionals with various qualifications and expertise all relevant to the natural and built environment, green development, conservation, sustainability, climate change, renewable energy (solar, wind, bioenergy, geothermal, etc. ), recycling, water management, waste management, etc. Through the Society's membership it also expands to the fields of legal aspects dealing with environmental and sustainability issues, environmental psychology, as well as include people from the media dealing with environmental issues. This group includes: Architects, Town Planners, Environmental Engineers, Landscape Architects, Engineers (various fields), Environmental Managers, etc. 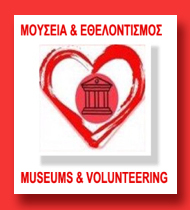 This group will be interactive with other organizations, institutions, and groups in Greece and abroad to materialize joint activities and projects, presentations, seminars, etc. It is hoped that it should develop an effective and high profile with the media and the public at large. We should use the present times of challenging economic difficulties as an opportunity to get more involved in all the aspects of environmental issues so we can harvest the resultant social and economic benefits. 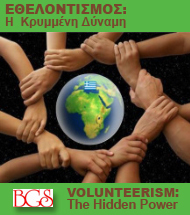 To participate in this group and meet all the other group members, please send an e-mail to info@bgs.gr with your name, qualifications, professional activity and your environmental interest.